“We, the Refugees and Supporters of the Refugee-protest camp at the Oranienplatz Berlin Germany want to strongly point out our solidarity with our fellow Refugees and their Supporters in Vienna, who were victims of the brutal police operation in the early morning of 28.12.2012. The eviction of your Protest Camp was totally unjust, the way it was driven directly by the government and executed by their inner armed forces by bypassing the City Council. The sudden operation with no announcement or further negotiations together with the humiliating treatment of our fellow refugees as well as the arrest of some of them is by no means tolerable and will never be accepted. We strongly condemn the harassment and violation of human rights executed by the state police in the camp last night. Politically these kind of practices are aimed at keeping Refugees in isolation as part of the european post-colonialistic policies to keep all of us asylumseekers and migrants away from Europe. This must stop! We all here in Berlin feel strongly with YOU- the Refugees in Vienna! We wish you to have the power and courage to take the last nights eviction as no reason to give up the fight but in contrast to take to the streets even stronger! We send all our solidarity from our hearts to YOU! 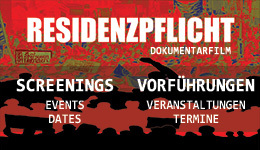 All our support and solidarity to the protest of migrants and asylum seekers in Vienna! 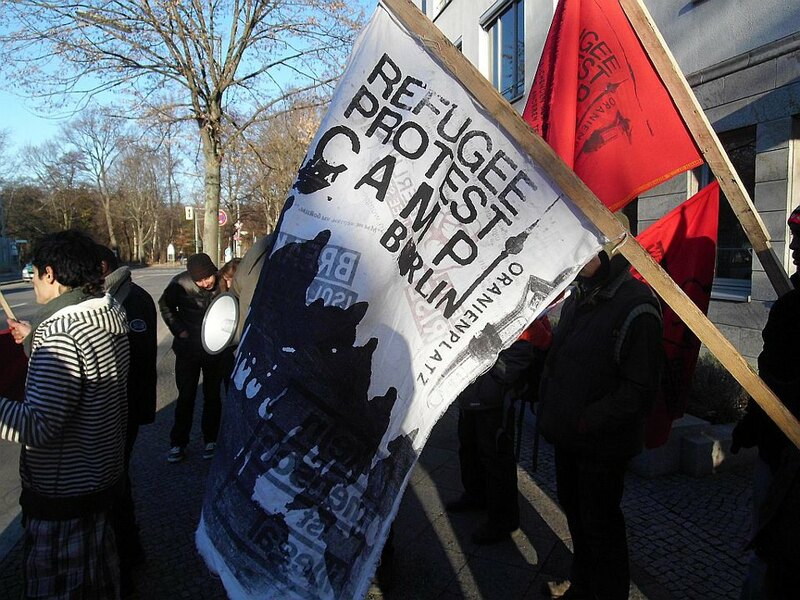 The protest camp set up by asylumseekers in Vienna has been brutally evicted last night. It is part of a growing European movement of migrant struggles, that has recently seen similar protests in Berlin, Amsterdam and Calais, as well as Lesvos, Budapest and other places. They contest authoriatrian border regimes and the migration policies of the EU and its member states.